*Ran as a spread in the NY Times. Hansen & Horn Homebuilders build new homes that have the style of older Craftsman style homes, without the inefficiency. 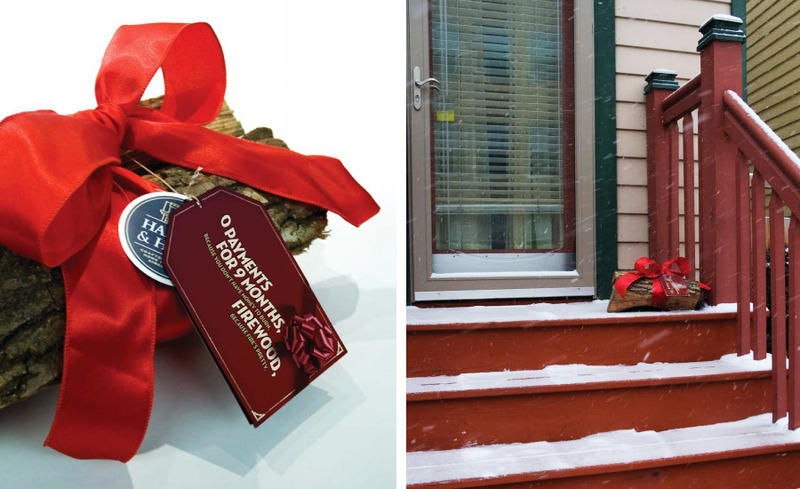 So we tagged bundles of firewood and sent them to the doorsteps of older homes throughout the city. Traffic to model homes rose over 200%. Microsoft Vista had an auto Backup and Restore feature. So we made an unusual, fun OOH to communicate this. FAKE 2D STORE (Left): Store. REAL STORE (Right): "Restore. Backup your entire business to help keep you open for business." Placed next to the route map in the Continental in-flight magazine, this ad illustrated how quickly every day purchases could lead to a cross country trip when points were earned.